Cloud payments and point-of-sale (POS) system start-up ShopKeep has integrated with the Clover Mini by deepening ties with First Data, reports Julie Muhn at Finovate (FinTech Futures’ sister company). First Data, which acquired Clover in 2013 for its POS technology, first strengthened its partnership in February of last year by making ShopKeep’s software available to clients in First Data’s distribution network. 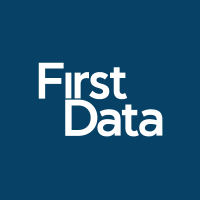 Following that move, First Data participated in an investment round in ShopKeep in late 2017. Adding ShopKeep to the Clover Mini, an all-in-one POS device with an integrated receipt printer, will help “streamline merchant operations, improve the customer experience, and expand business intelligence in a secure environment”. And this seems to be just the start of even further integration. ShopKeep, which began selling Clover Mini in December, plans to further expand its partnership with First Data across multiple hardware and payment platforms. In November, New York-based ShopKeep integrated with digital knowledge management company Yext to offer merchants access to the Yext Knowledge Manager directly from the ShopKeep back office interface.